Participating in Kaleidoskoop is a great opportunity to gain valuable feedback from mentors, network with start-up opinion leaders and win several valuable prices. The best team will be awarded with tickets to the semi-final of Polar Bear Pitching competition where entrepreneurs have to give their pitches while standing waist deep in ice cold water! “Our team got really good feedback, which is one of the most important things for early-phase start-ups,” says one of the last Kaleidoskoop’s finalists Jürgen Jürgenson, CEO of Pürg. “We also found couple of mentors who are still in contact with us and always ready to answer our questions”. Other finalists in spring where real estate renting platform Konku, Climate Kic Launchpad Europe winner Gleather, hiring service HireHunt ect. Kaleidoskoop takes place in two rounds. 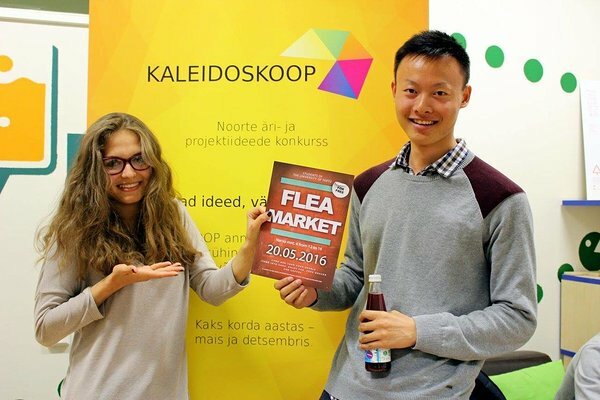 The first round of Kaleidoskoop will take place on 7th December at UT IdeaLab. Then the 10 best teams will be selected to participate in the finals at the international business festival Startup Day on 9th December. In both rounds teams will have 2 minutes to pitch their idea and 5 minutes to answer the jury’s questions. Applying to Kaleidoskoop is open until 1st December! As success in Kaleidoskoop requires good idea presenting skills , there will be a pitching training at UT IdeaLab on 1st December 4 PM, held by entrepreneur and award-winning pitching trainer Gleb Maltsev. Seminar is free and open for everyone, but please register before on IdeaLab’s web!